The state of advanced cryptocurrency and blockchain applications and devices continues to evolve. 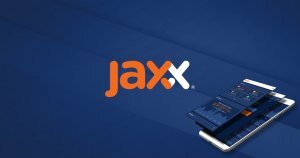 Launched Sept. 12, Jaxx Liberty has introduced a comprehensive, multi-platform cryptocurrency wallet that integrates multiple features on a single interface. The cryptocurrency wallet Jaxx Liberty closed its beta and has officially launched on Android and desktop, according to a blog post. Founded in 2015, Jaxx was developed by Anthony Di Iorio, co-founder of Ethereum and CEO of Decentral, in partnership with ShapeShift to give users the ability to exchange digital assets within a cryptocurrency wallet. Since January 2017, Jaxx has attracted over 1 million downloads and currently maintains a monthly active user base of 750,000 to 1 million. With the new update, Di Iorio aims to integrate over 100 corporate partnerships into Jaxx Liberty and transform the single interface into a multi-platform hub for digital asset price news, information and exchange. Jaxx Liberty will support over 70 digital assets and include an ecosystem of in-app block explorers, portfolio modules, market data, news launchpad and an in-app exchange. For emerging projects, Decentral will charge up to $250,000 to add support for new tokens on Jaxx Liberty. The company will also earn revenue by taking a portion of fees from integrating with third-party financial services, such as exchanges. As the first all-in-one cryptocurrency wallet to gain mass adoption, Jaxx Liberty seems well-poised to dominate a growing market for multi-platform digital asset storage. The post Ethereum Co-Founder Anthony Di lorio Launches All-in-One Jaxx Liberty Wallet appeared first on CryptoSlate.